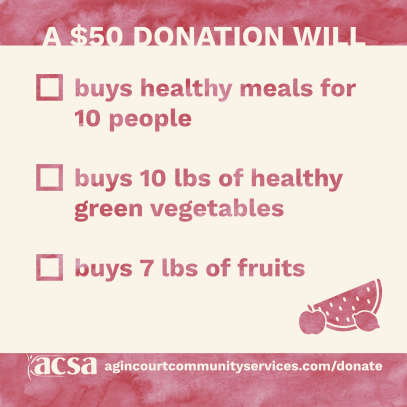 Generous donations from our supporters help us to reach out to more community members. 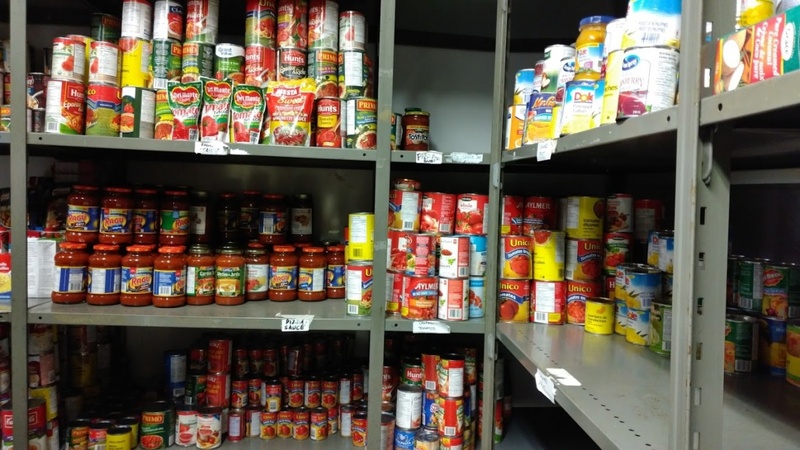 Our food bank is always looking for donations to the food bank. 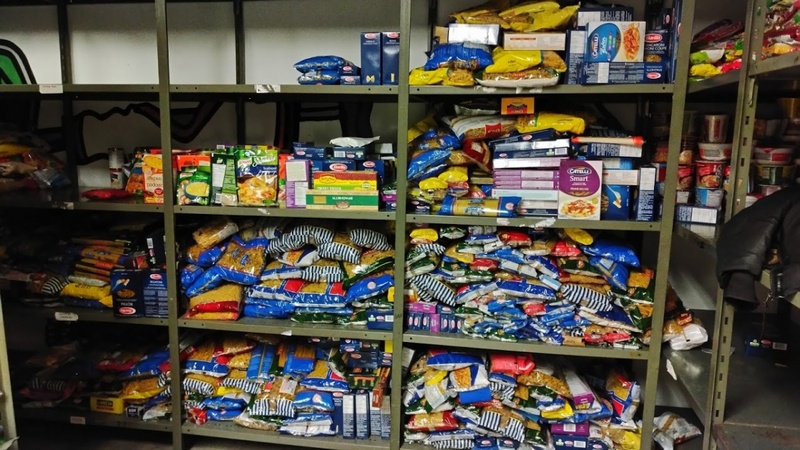 Items such as rice, dry pasta, peanut butter, canned meats and fish, beans, macaroni and cheese, and pasta sauce are desperately needed. If you wish to do a food drive in your workplace, religious organizations, school, and/or agency, give us a call and we can help you set up. Our homeless and outreach services department is looking for sample size hygiene products and new towels are needed for our clients in the shower program. Every summer, we seek donations of school supplies for low income families to give them a head start for school. In a recent survey done by the Daily Bread Food Bank of out food bank clients, 60% of our food bank clients didn't have money to provide school supplies for their kids. If you wish to do a school supply drive in your workplace, religious organizations, school, and/or agency, give us a call and we can help you set up. 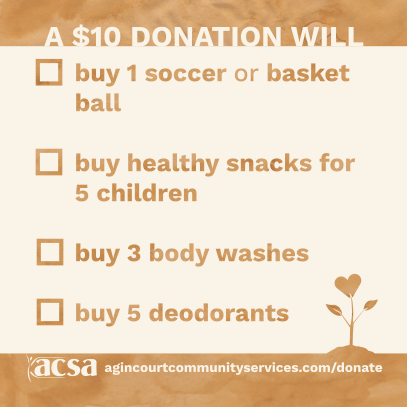 Financial donations are also accepted and if you wish to donate money to ACSA, you can drop off or mail a cheque made out to Agincourt Community Services Association. A receipt will be issued for donations of $20 or more. 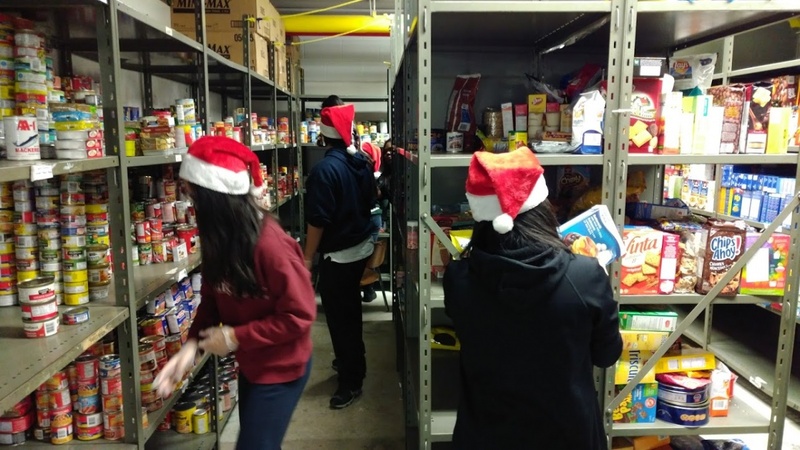 All donations may be dropped off at our location during office hours or you may donate online at Canadahelps org. 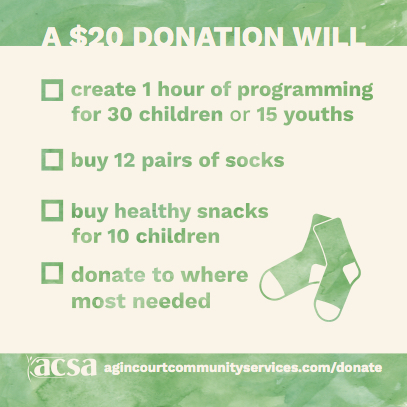 Agincourt Community Services Association plays a vital role in shaping our community. The broader and more diverse ACSA membership is, the better we can represent Scarborough with one voice. As a not-for-profit organization, your membership supports our agency’s mission to keep our community engaged and active. 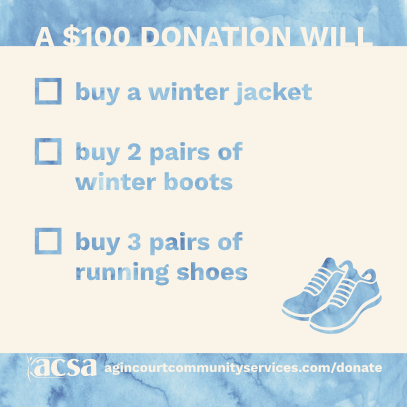 In order to demonstrate greater community support and involvement in the affairs of ACSA, friends and supporters are invited to purchase a yearly membership. Download a membership form today! 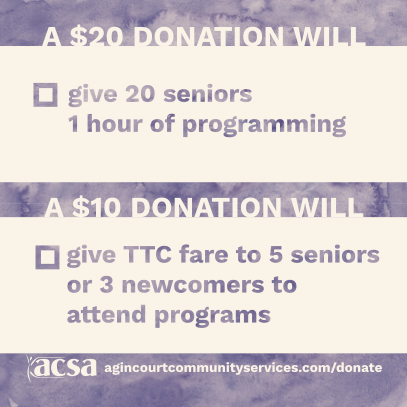 As a member of Agincourt Community Services Association, you will receive upcoming community events, obtain a copy of our Annual Report, receive notice of the Annual General Meeting, and voting privileges.